July is an important month for the people of Sudan. It marks the country’s 1956 independence from the British, the 2005 start of a transitional government that ended Africa’s longest civil war, and the 2011 secession of South Sudan. 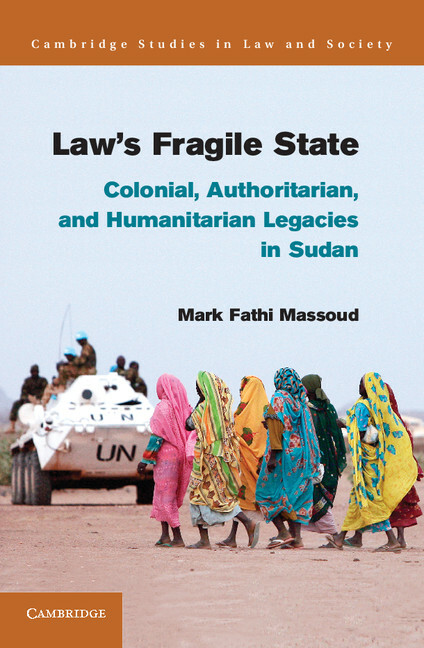 Sudan was also recently ranked the third most “failed state” in the world. Sudan is widely known for civil war, upheaval, and authoritarian rule within its borders. Its president, Omar Hassan al-Bashir, has been in power for nearly 25 years. He is the only sitting head of state to be indicted for genocide by the International Criminal Court. My family fled Sudan when I was a boy, and I returned for the first time as a graduate student at the end of the civil war. I went in part to understand my homeland and the people who stayed behind. I also wanted to understand the development of law in conflict settings. How does law “live” in these environments? Who makes law, who uses it, and how is it relevant in the daily lives of government officials, civil society groups, and the poor? Answering this question is crucial not only for the Sudanese who still face violence but also for those of us who study conflict and post-conflict settings. The United Nations and other international aid groups have arrived into the world’s war-wracked regions with tremendous energy and investment, much of it for building the rule of law. Some estimates suggest nearly half of the World Bank’s lending has some rule-of-law component. But promoting the rule of law cuts two ways. Certainly under the right conditions it can help to establish democracy. But the building blocks of the rule of law – stable government, courts, law schools, and prison systems – can also be the bedrock for the entrenchment of authoritarian rule. Why? Governments, even dictatorial ones, want to ensure that people’s disputes are resolved and that grievances against the state are processed. Getting the job done quickly enhances social stability. The building blocks of the rule of law – stable government, courts, law schools, and prison systems – can be the bedrock for the entrenchment of authoritarian rule. During the 1990s at the height of Sudan’s civil war, the government made huge investments in its judiciary, the likes of which had not been seen since British colonial officials arrived a century earlier. Hundreds of new courts and more than a dozen new law schools were opened around the country. And that was just the beginning. State development under Bashir has been rooted in both law and religion – a vision of Islamic law that demands adherence because of its claims to divine authority and because of the people’s profound piety. As Sudan commemorates its anniversaries this month, it is important for the world to maintain its commitment to this nation. Attention, particularly from Western aid groups, has largely shifted to South Sudan, a nation now reliant on a dangerous combination of petrodollars and aid dollars. But people in Sudan continue to struggle as they have for decades. During my 15 months of fieldwork there, I was struck by the widespread belief among aid workers and activists in the power of law to achieve peace and social justice, just as we all witnessed the state use law to maintain authority. The Sudanese continue to live at the whims of authoritarian fiat. But the extraordinary struggles of women’s groups, environmental organizations, and other activists there offer us a glimmer of hope for how the rule of law can be constructed in conflict settings from the ground up.